An Egyptian criminal court issued on Saturday preliminary death sentences to 75 members of the terrorist-designated Muslim Brotherhood group in the criminal case known as "the Rabaa Dispersal Case." Those defendants sentenced to death include prominent Brotherhood members Essam El-Erian, Mohamed Beltagy and Wagdy Ghoneim. The case dates back to the dispersal of the Rabaa sit-in by supporters of ousted Islamist President Mohamed Morsi in August 2013. The dispersal left hundreds dead including dozens of police officers. 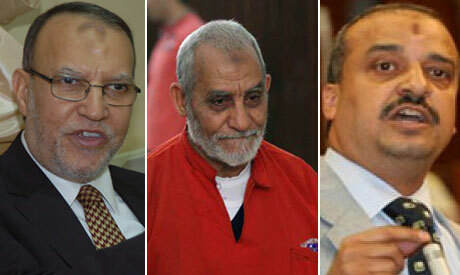 The case includes 739 defendants including the former Supreme Guide of the Muslim Brotherhood Mohamed Badie. The court referred the preliminary sentences to the Grand Mufti for a non-binding consultation per the Egyptian penal code. The court set 8 September as the date to issue the final verdict for all 739 defendants accused in the case. A final verdict can be appealed.